for “a pinch of intolerance, a dash of ostracization and maybe a dollop of body dysmorphia to top things off” were “unlikely to gain much traction.” I hope they’re right. The Today Show article also reports that “Callahan’s theory has drawn criticism, not only from obesity specialists, but also from other bioethicists.” Phew. A feisty blog post in the Johns Hopkins Berman Institute of Bioethics Bulletin, written by one of those other bioethicists, characterized Dr. Callahan’s article as ”thinsplaining”—a variant of “mansplaining” in which a thin person explains to fat people what fat people don’t understand about being fat. There are serious issues with the evidence for Dr. Callahan’s various positions. He ignores the essential difference between correlation and causation and asserts that obesity causes diabetes, heart disease, and kidney failure. He repeats the tired platitudes about the exponential growth of obesity rates (despite strong evidence that, in the U.S. at least, the collective increase in BMI levels over time among both adults and children has essentially plateaued). He writes an entire paragraph on the causes of obesity with no citation whatsoever. And so on. Well, I am no professional bioethicist, but as a trained health educator and an instructor in a health education program, I know that I need to offer up credible evidence for my assertions about health. Even for those (and unfortunately there are many) who choose to ignore the lack of evidence for engaging in a “war on obesity,” my hope is that the ethics of his positions would give them pause. I thought I’d take a moment to offer up a first take on the ethical ramifications of each Dr. Callahan’s suggestions. The arguments for and against any kind of public health initiative require some nuance and deliberation. I think there are serious questions about the effectiveness of these proposed measures to promote health, but I will leave those for another time. For now, however, I will address myself to the ethics of engaging in even “somewhat coercive” public health policies. Many elements of Dr. Callahan’s “supply-side” public health measures will be abhorrent to anyone who truly espouses the ethos of public health and health promotion. 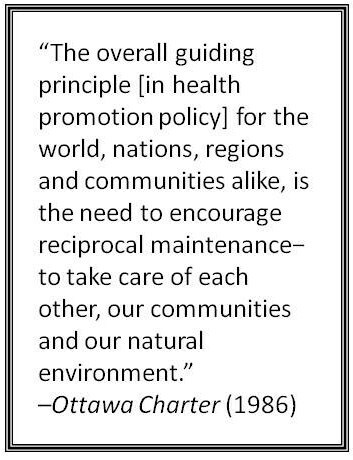 The founding document of the modern health promotion movement, known as the Ottawa Charter (1986), identifies community, caring, and equity as core values for any health policy initiative. Given these guiding principles of my profession, supply-side coercion tends to not sit well with me. My first reaction to Dr Callahan’s second suggestion is simply, when are we going to leave the poor children alone? Eating disorders, body image disturbance, and weight-based bullying are on the rise. We know that weight cycling causes harm over time. What about the ethics of “do no harm”? Is it ethical to promote one kind of “health” at the expense of another, especially when the HAES® model offers a clear, ethical, health-based alternative to the harmful weight-based approach? I am through with mincing words about this: weight-based health approaches, especially with children, are unethical. Then there is the question of his methods. Research tends to show that attempts at “cajoling” and “forcing” people into health behaviors are ineffective, and indeed often have the opposite of the intended effect. (Jon Robison wrote eloquently about this in this blog last June.) Can it be ethical to use methods that fail and may even increase unhealthy behaviors? Dr. Callahan may be the ethics expert, but for many of us, our sense of professional ethics permits neither the “cajoling” nor the “forcing” of others. For example, the Code of Ethics of the Society for Public Health Education (SOPHE) requires that “Health Educators empower individuals to adopt healthy lifestyles through informed choice rather than by coercion or intimidation” (IV:4). Perhaps I am naïve, but I would have thought that intentionally shaming someone, even in the name of “health,” would be universally seen as, well, just plain wrong. And it’s not just me; again, the SOPHE code of ethics states: “[Health educators] respect the rights, dignity, confidentiality, and worth of all people by adapting strategies and methods to the needs of diverse populations and communities” (IV). Of course, I turn to the ethics code of my field, but my guess is that most health professionals reading this could quote a similar passage from their own code of ethics. Moreover, if the stigmatization that’s been leveled at fat people to date hasn’t done the trick, what makes Dr. Callahan think more of the same will be the key? And then there’s the evidence. It’s well established that weight stigma and weight bias are harmful to the health and socioeconomic well-being of fat people (for example, see these studies from Rebecca Puhl and others from the Yale Rudd Center in 2007, 2008; 2009; 2010; 2010; also see Abigail Saguy’s op-ed piece in the Washington Post on “size profiling”). Studies reported in Stress and Health and in BMC Public Health suggest that the excessive stress associated with experiencing bias and stigma may be an important cause of the associations observed between higher BMIs and certain disease states. 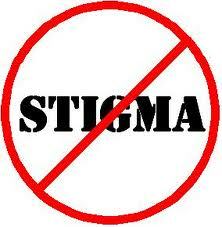 Dr. Callahan’s call for strategies to promote stigma is at odds with the actual health experts’ call for strategies for preventing stigma. But then perhaps Dr Callahan’s purpose isn’t really to promote population health. 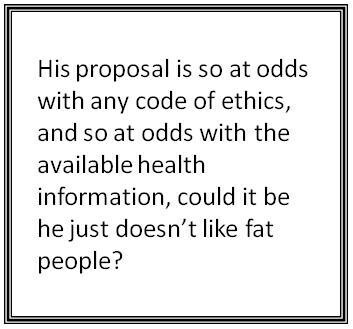 His proposal is so at odds with any code of ethics, and so at odds with the available health information, could it be he just doesn’t like fat people? I am usually loath to assume bias in another person, but given the prevalence of weight bias in the general culture and the nature of these proposals, I think it’s a fair question. I was curious to know who would or could advocate for intentionally stigmatizing another human being, much less two thirds of the U.S. population. I don’t want to engage in ad hominem attacks, but I had to wonder what in his background might have led him here? No, unfortunately, his bona fides in health ethics and scientific responsibility appear (at least until now) to be above reproach. Heaven help us all. This is a brilliant piece, Fall. I am glad to know that there are many health professionals speaking out against the immorality of Callahan’s proposals. I am emailing and printing this piece out posting it on bulletin boards throughout my organization. Thank you. Thank you, Fall, for writing this. This kind of thing scares me. I am an example of what becomes of kids who experienced weight bias (from women in my family) and learned to internalize it. I struggle with it daily, almost 30 years later. My question is what do we, the fat people, say to friends and peers who quote and believe such misguided misinformation, thought to be from reputable professionals? Also, you can add the work of Brene’ Brown to your list of sources. She researches shame at the University of Houston and has written several great books. While not specifically related to weight issues, her research concludes that shaming in general is not an effective tool for creating behavior change, and actually makes it less likely that goals will be achieved because it eats away at our self worth and resilience. Everyone knows that obesity results from living an unhealthy lifestyle (in most cases). The food, the oil, the fat and all the luxuries of life is bound to take its toll on life. Those obsessed with fast food will give anything to skip exercise and have a carbonated drink instead of water. But think it over, will the 3 strategies have any impact if implemented ?